All About Fishing in Mono County! Fishing is BIG here! 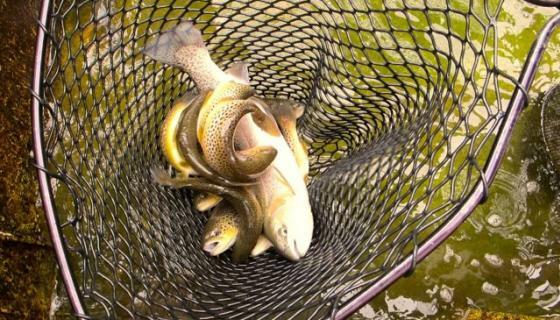 In Mono County, trout fishing is much more than an activity. It’s a passion. We invest over $150,000 annually to supplement trout stocking done by the California Department of Fish & Wildlife, private marinas, and resorts. Mono County is home to many lakes, streams and rivers including Crowley Lake, Convict Lake, June Lake, Gull Lake, Silver Lake, Grant Lake, Bridgeport Reservoir, Twin Lakes, East Walker River and West Walker River. For OPENING DAY: APRIL 27, 2019 info, go here. For FISHING REPORTS, go here. For STOCKING UPDATES, go here. For LICENSE INFO, go here. For SEASONS & YEAR-ROUND fishing info, go here. For FISHING DERBIES, go here. For FREE FISHING DAYS, go here. For TOP FISHING SPOTS, go here. For GUIDES who know the area, search the list below. For TACKLE SHOPS, go here. For MARINAS & BOAT RENTALS, go here. 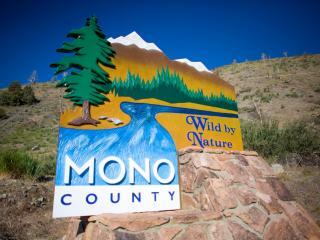 For TYPES OF FISH in Mono County, go here. Comfy, reasonable lodging is available near your favorite fishing hole from Tom&apos;s Place, Crowley Lake, McGee Creek, and Convict Lake... to June Lake, Lee Vining, Bridgeport, and Walker. For WHERE TO STAY, go here. Water wonderful. In summer and fall, Eastern Sierra culture centers around the many things there are to do on the lakes here. Trophy trout fishing, stand-up paddle boarding and kayaking are all wildly popular. For WHAT TO DO, go here.